Spiders--Creepy or Cool? 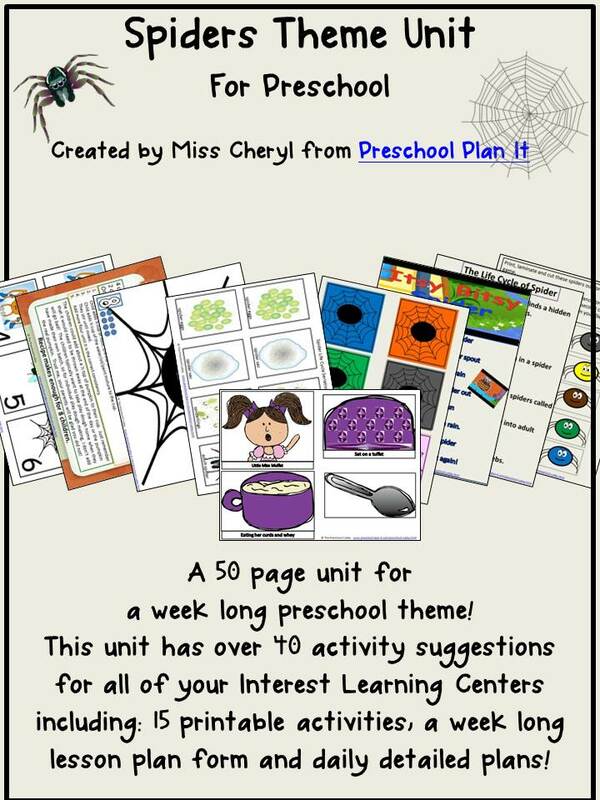 I created this 50 page Preschool Spider Theme pack to save you time while the children decide! A link to download the PDF will be delivered to your email when purchased! 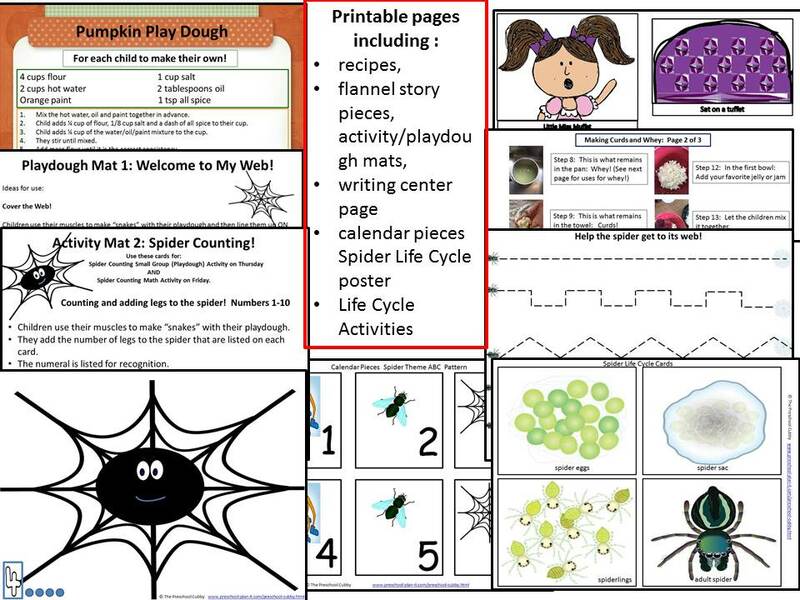 This Resource packet is filled with activities, ideas and preschool lesson plans your interest learning centers including Circle Time, Art, Blocks, Cooking, Dramatic Play, Easel, Gross Motor, Math & Manipulatives, Sand & Water Table (Sensory Play), Science, Writing Center and Story Time suggestions for each day. Read on for more for details on what is included! 50 Page digital packet with activities, detailed lesson plans and more! 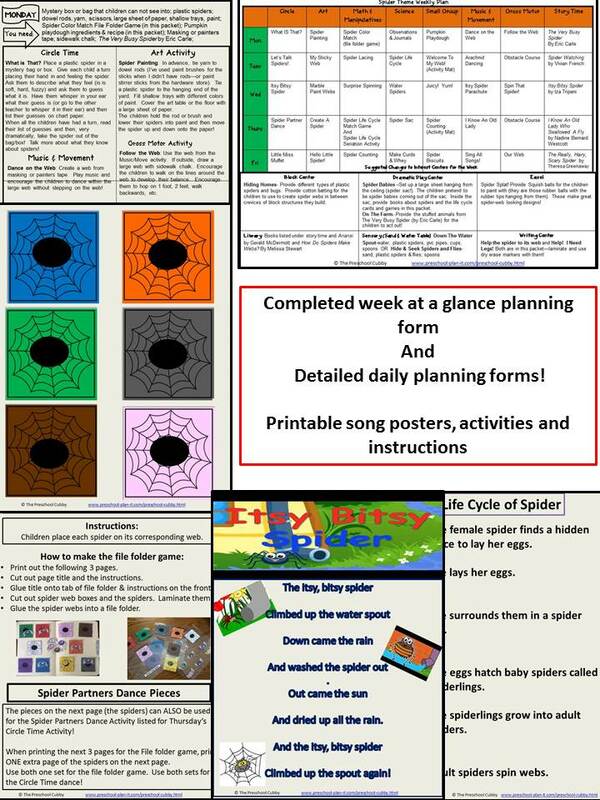 5 Daily Lesson Plans: that detail the activities from the Weekly Plan for each day including instructions. Group recipe AND An Individual Recipe for the children to make their own! Click Here To Sign Up For the Free Teacher Club! A link to download it will be delivered to your email when purchased!